In essence, the stye (sty) on eyelid is a small, painful lump on the edge of the eyelid or in eye, causing pain and swelling. Occasionally, it is caused by eyelid follicles or oil glands of the infected eyelid. Although the stye tends to cause redness and pain, it will heal itself for about a week. In spite of being harmless, a stye causes a lot of pain and discomfort for you. There are many causes for this disease. You can also recognize the disease through some rather special symptoms. The article below will provide you with information that will help you do that. Besides, we also introduce tips on how to treat a stye on eyelid or inside fast at home. Let’s start! When one of these glands is blocked, it will swell and formnodule on the eyelid. The appearance of the outer stye are red nodule which are slightly stiff in the eyelids. They are about the size of a pea. Meanwhile, the inner stye is not easy to recognize and the nodule is located on the inside of the eyelid.Stye usually comes with pus. This disease often causes a lot of pain and discomfort to the patient. Stye can go away in a month without treatment. You can speed up the treatment process and reduce the pain and swelling in a number of ways. However, patients should seek medical attention if they suspect they have it because the disease can interfere with vision. What Are Common Causes Of A Stye? What Are Common Symptoms Of A Stye? Who Is At High Risk Of A Stye? You can control this problem by minimizing these risk factors. See your doctor for more information. Your doctor may prescribe antibiotics, especially if you have bacterial conjunctivitis, also known as pink eye. This condition is usually cured quickly after antibiotic intervention. Your doctor may use a needle to prick the stye. This will allow the pus to escape through a small piercing hole. As a result, the stye will gradually disappear. If your skin is infected with a number of diseases such as sebaceous gland disease, you may easily have eyelid inflammation. In this case, your doctor will ask you to perform a hygienic treatment for the eye area. If you do not have your own eye doctor, you can consult your doctor and ask for a referral, check your local doctor’s directory or find the internet. Type the word “ophthalmologist” and include the name of the city or area where you live. During the illness, you can see your doctor at any time. You do not have to wait a week to contact your doctor. You probably have the most comprehensive view of a stye after reading the above information. Below, we present ways on how to treat a stye on eyelid or inside eye at home. 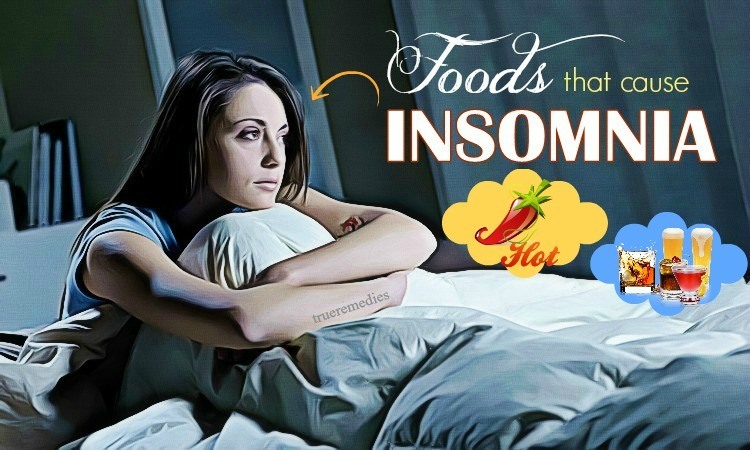 Many people have successfully treated their condition with these simple ways. Take a look at TrueRemedies.com! You can also use a special solution for eyelids or dilated and non-spicy baby shampoos to do this. Make sure your hands and the cotton pad which are used are completely clean. Otherwise, you may be spreading additional dirt and other germs to the affected area. Stye is usually caused by the entry of staphylococci into the eyelid follicle or into a gland in the corner of the eye. This is usually caused by dirty hands touching your eyes. However, other bacteria can also cause stye. Therefore, to prevent or support stye treatment, always make sure not to touch the eye area if your hands are not clean. If you are constantly prone to the stye, your eyes may be especially sensitive to bacterial infections. Use a clean towel and mild shampoo, such as baby shampoo, or eyelid solution to gently wash the eyelid. Then rinse with warm water. Do this every day to prevent this problem. You can do this about three to four times a day. Be patient with this treatment until the stye on eyelid completely disappears. Warm tea bag (not hot) also brings the same effect. You should use chrysanthemum tea bag because it brings comfort to you. Using warm gauze can cause the stye to contract and release pus (when the pus appears, the symptoms of this condition will decrease quite quickly). If this happens, gently wipe off the pus. Avoid pressing too hard on the stye. You should only use a very light force to do this. 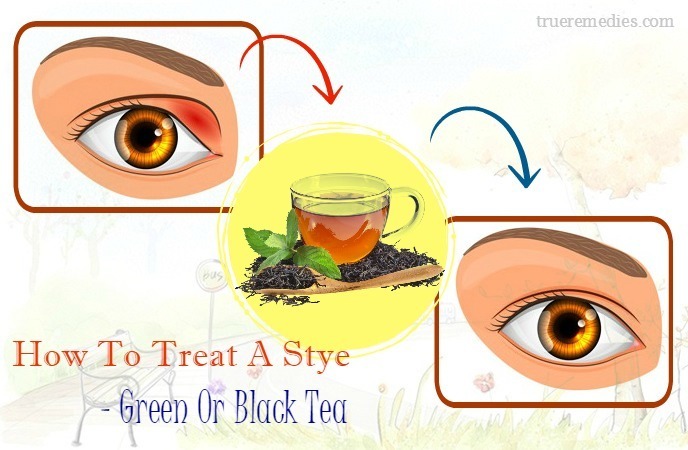 This remedy is one of little – known tips on how to treat a stye on eyelid and inside eye. Cucumber is the favorite fruit of many people, but do you know that cucumber can also help you treat styes? Cucumber contains lots of water and some vitamins like vitamin B1, vitamin B2, and vitamin C. These are all very good for the skin. The nutrients found in cucumber will quickly penetrate the stye and the skin around it, soothing the pain that you are suffering. Besides, because of the effect of the nutrients of cucumber, the stye will also quickly release pus. As a result, your condition will improve quickly. Please apply this method 1-2 times a day until your condition is completely treated. Honey has a good antibacterial effect  and acts as an emollient that keeps your skin moisturized. Its anti-inflammatory, and microbial and anti-allergen effects are helpful for handling skin conditions like eye stye. When combining honey with cucumber, you will have an excellent mixture for the treatment of styes on the eyelid. You should apply this method 1-2 times a day to get the best results. We all know that olive oil has good anti-inflammatory and antibacterial properties. Therefore, you can combine olive oil with cucumber to treat your condition. Let’s apply this method 1-2 times a day to see how effective it is. The next treatment in this list of tips on how to treat a stye on eyelid at home is using olive oil. Olive oil is considered as very versatile natural oil. It has a beneficial effect on the skin, hair and nails, and it also has a great effect on stye treatment. The antioxidants polyphenols in olive oil will quickly act and stimulate, making the stye quickly release pus. With good anti-bacterial and anti-inflammatory properties, olive oil can treat the inflammation that styes cause. As a result, your condition will quickly improve. If you apply this method in the evening, you can leave the olive oil on the skin overnight and remove it the next morning. Please apply this method 2-3 times a day to get the expected results. Implementing this method 2-3 times a day is what you should do to quickly treat your condition. This sounds strange when it comes to tips on how to treat a stye on eyelid, but it works. Coconut oil is always known for its excellent acne treatment. 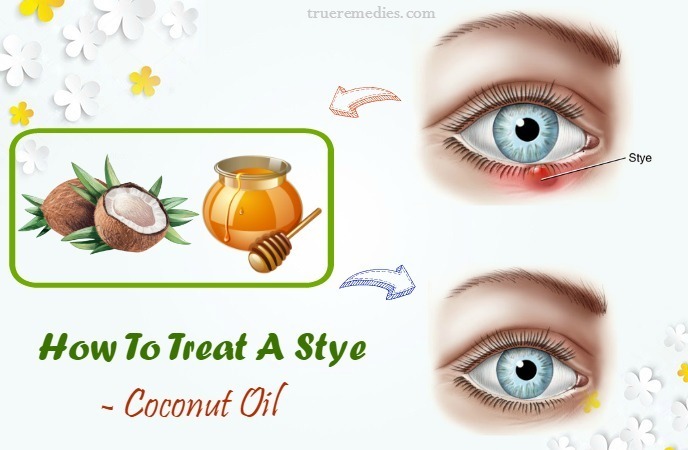 Similarly, you can use coconut oil to remove the stye. Medium chain fatty acids such as lauric acid, caprylic acid, capric acid, and caproic acid in coconut oil have strong antibacterial properties. In addition, coconut oil contains a lot of vitamin E. We all know that vitamin E has strong antioxidant properties. Thanks to those effects, the stye on the eyelid is quickly removed when you use coconut oil to treat it. Coconut oil is also very benign so you do not have to worry about allergies to its ingredients  . Please apply this method 2-3 times a day to get the best results. 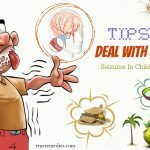 You should implement this method 2-3 times a day until your condition is completely treated. The next one in this list of tips on how to treat a stye on eyelid and inside eye is using potato. You can use potato to treat styes in the eyelid. Studies have shown that potatoes contain a lot of vitamin C which helps to treat skin damage. On the other hand, potatoes also help to reduce inflammation and swelling very well  . Some of the special properties in potato also help to limit the blood being transported to the stye, allowing it to quickly release pus. As a result, your condition will be treated quickly. Implement this tip 1-2 times a day to see how effective it is. Aloe Vera contains many nutrients such as vitamin A, vitamin C, vitamin E, and vitamin B1, and many minerals such as calcium, sodium, and zinc. Therefore, it is used a lot in cosmetics. Aloe Vera gel has the ability to moisturize, create good skin elasticity. In addition, this gel also has a good acne treatment. Thanks to its ability to soothe the skin, Aloe Vera gel helps relieve pain and inflammation significantly. The antimicrobial properties of Aloe Vera are also a highlight of this plant. For that reason, besides using Aloe Vera gel to treat acne, you can also use it to remove the stye on the eyelid. You should apply this method 2-3 times a day to get the best results. You can rinse the affected area with warm water if you want. Please do this about 2-3 times a day until your condition improves. Surely you will be pleased with the results that this method gives you. Implementing this method 2-3 times a day is what you can do to quickly improve your condition. When it comes to learning how to treat a stye, it is crucial to cleanse your eyelids regularly to both treat and prevent the stye as bacteria may cause a stye. Some experts recommend using coriander seeds to create a tea-like solution and use this liquid to cleanse the eye after it cools down. The powerful anti-inflammatory properties of coriander seeds could help to decrease symptoms of stye like redness, pain, irritation and swelling, while still speeding up the healing process . More than a regular spice, turmeric possesses amazing healing effects due to its antibacterial and anti-inflammatory properties. The 2016 report showed that curcumin in turmeric has antimicrobial, antioxidant, and anti-inflammatory properties. Thus, turmeric is highly effective in treating a lot of dermatological conditions. Topical application of this ingredient gives a lot of therapeutic benefits for skin . For stye removal, you could use turmeric combined with water to decrease redness, pain and swelling. Another way to use turmeric for swelling and irritation relief is taking 1 teaspoon of turmeric powder, then dissolve it in about 2 cups of boiling water. Boil for 2-3 minutes and let the mixture cool down. Strain, and dip a cotton ball into the liquid before using it to wash your eyelid. Repeat this routine regularly till you get desired results. Alternatively, you could also mix 1 tablespoon of turmeric with 1 glass of water or milk, then have it daily to boost the ability of your body to heal on systemic level. In castor oil, there is ricinoleic acid with anti-inflammatory property. Therefore, castor oil is a potent oil for reducing pain and inflammation immediately. It can decrease the size of styes and soothe irritation sensation associated with styes . 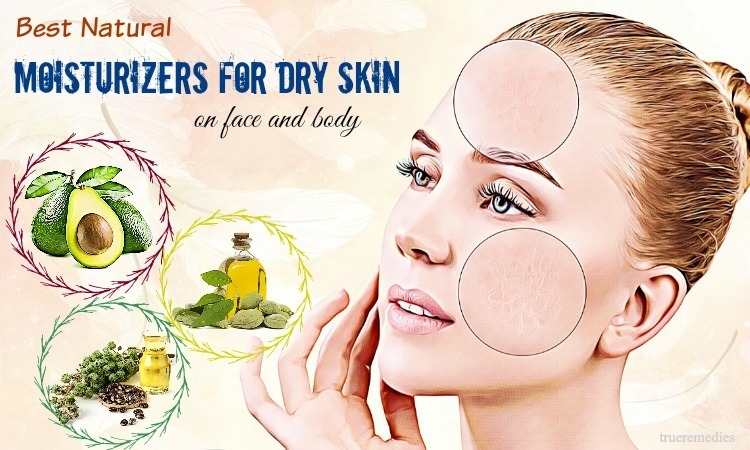 It might surprise you that castor oil could be used to handle many inflammation skin issues and help to kill off fungal and bacterial skin infections. 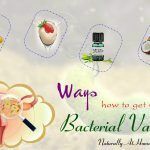 According the International Journal of Molecular Medicine and Advance Sciences, castor oil is shown to have antibacterial activities against the Staphylococcus aureus bacteria. This bacterium is responsible for eye stye infections. Among natural ways on how to treat a stye inside eye at home, guava leaves seem lesser-known. Due to its anti-inflammatory and medicinal wonders, this plant can eradicate the swelling and redness of styes. The International Journal of Microbiology proved that extract from guava leaves are effective against the strain bacteria responsible for eye styes. Also, tannins found in guava leaves can remove swelling and promote the healing time. To treat a stye on eyelid, you can take advantage of goldenseal or eyebright. They act as natural antibiotics to combat bacterial infection causing eye styes and alleviate painful swelling around your eyelid. Simply boil ¼ cup of dried eyebright leaves in about 2 cups of water. If you use goldenseal, use a dropper to place 1-2 drops of goldenseal extract directly on your styes for 4 times per day to reduce swelling and fight infections. Note: Do not place eyebright infusions into your eye. 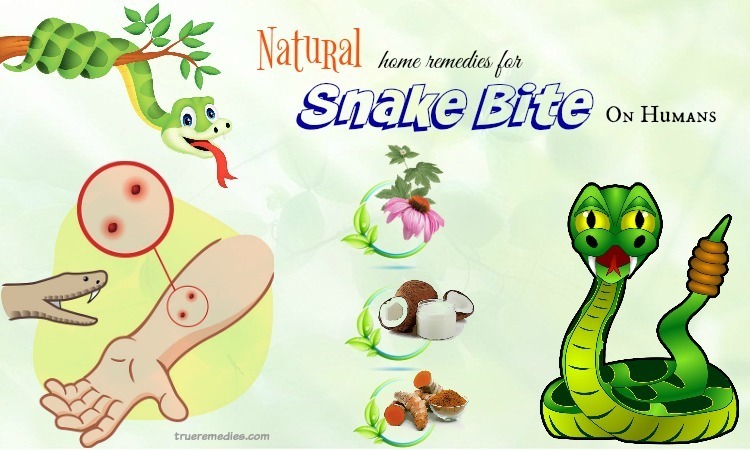 This natural method also increases blood circulation to your affected area and help to drain the pus naturally. You could use the baby shampoo to clean the eye area and promote styes to heal faster. Baby shampoo is perfect for cleansing the area surrounding your eye due to its slight pH level, so you will not feel irritation if it enters your eyes. However, you should choose the organic, pure and all-natural baby shampoo for the best effects. Is tea tree oil a good treatment for styes? The answer is yes. 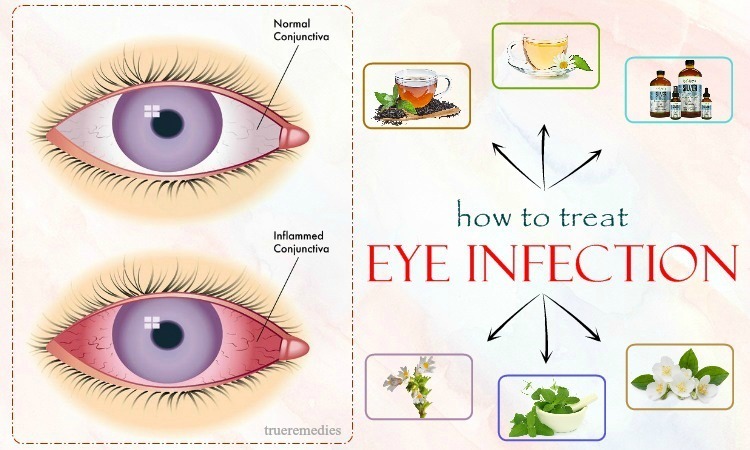 You could apply diluted tea tree oil on your infected eyelid, even after the stye has broken. It will prevent the fungus and bacteria from spreading the eye infection . This essential oil is highly antiseptic, antibacterial and anti-inflammatory, thereby cleansing the stye while decreasing bacteria and inflammation buildup. Do not use raw tea tree oil as it might irritate your eyelid tender skin. Make sure that the oil does not get into your eyes. Known as a powerful antiseptic and antibacterial agent, apple cider vinegar can dry out the pus, ease pain and promote healing process of styes  . Do not let apple cider vinegar get into the eyes. Note: The vinegar may sting slightly, but that sensation will go away in no time. In case you feel hurt a lot, then remove the cotton ball instantly and rinse your eye thoroughly with clean, cool water. This tip is rather similar to the #2. Apply Warm Gauze. You could also use a warm tea bag to apply over a stye. Use a black tea bag as it is effective reducing inflammation and also has natural antibacterial properties. If there is not black tea, use green tea as an alternative. After having a cup of tea, place the teabag over your stye with eyelids closed. Make sure that the teabag is not dripping wet, but still moist. Wait for 5-10 minutes before removing it off . Not only does onion help to reduce pain and swelling, but it also speeds up the healing process. Despite it may create a stinging or burning sensation, its antimicrobial and anti-inflammatory properties can heal styes fast . Even chopping onions also helps with your stye removal. When you chop onions, you may tear and the water coming out from your eyes due to onions’ pungent fumes will naturally hydrate your eyes. As a result, it relieves eye pain. Also, it cleanse your eyes of dust particles and dirt that might lead to infection. Oftentimes, after extracting the tamarind pulp, you may throw away tamarind seeds, yet sometimes, they could be of excellent use, especially for eye stye relief. Tamarind seeds can relieve both swelling and pain associated with styes . 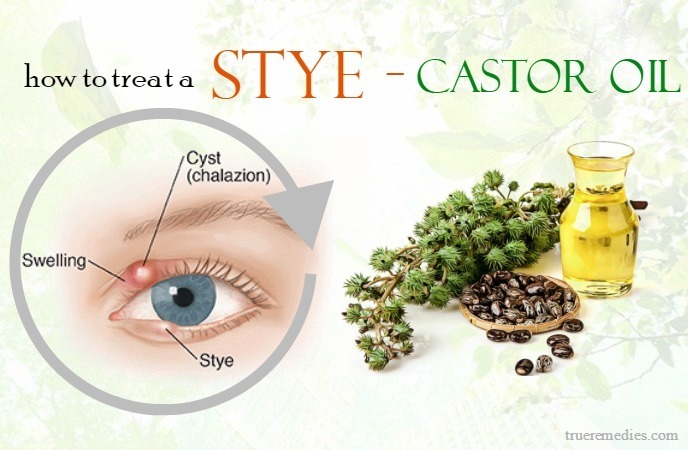 This is a natural solution for stye on the eyelid in the early stages. This old wives’ tale worked for a large number of people. Just simply make use of any item made of gold or iron and rub it over your stye for a few seconds. Do this a few times per day. Note: Do not use dirty or rusted metal as it may result in irritation. Always cleanse this item before using. Those with a stye on their eyelid should use a coin to reduce the soreness and pain associated with their condition. Take a rupee coin to wash with water and a mild soap. Put this coin between your palms or rub it on the jeans to generate heat. Then, apply the coin on eyelid. Bitter gourd is worth a try when it comes to learning how to treat a stye on eyelid thanks to its detoxifying and antibacterial properties. 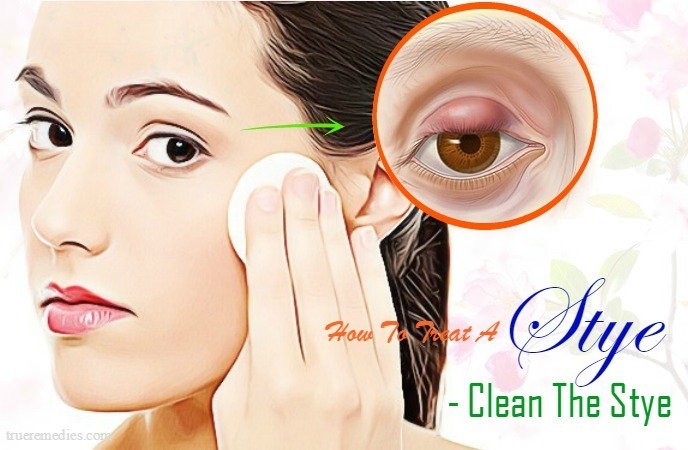 It can cleanse your skin while remove stye concurrently. You could use the leftover gourd particles from the tea as a natural compress . No wonder, this is definitely one that should be mentioned in this list of tips on how to treat a stye on eyelid. You may want to quickly release pus or fluid in the stye, but do not do so! Squeezing will make the situation worse because it can cause the bacteria to spread or cause severe infection, and can even leave scars. So make sure you will let the stye release the pus on its own, then you can add extra action to quickly remove all the pus from the stye. Using antibacterial creams is the next remedy in this list of tips on how to treat a stye on eyelid. You can buy an antibacterial cream specifically for the treatment of stye on eyelids at any drug stores. If you do not know which cream to buy, you can consult a pharmacist. Apply a small amount of cream to the stye, careful not to let the cream stick the eye. These creams can help remove styes quickly. When using these creams, you should follow the instructions on the packaging of the product to get the best results. The anesthetic ingredient contained in antibacterial creams also temporarily relieves the uncomfortable symptoms caused by this condition. However, if the active ingredients stick to the eye, it will harm the eyes. Therefore, be careful when using them. If the cream sticks to your eyes, gently wash your eyes with warm water, then see your doctor for a direct examination. This is another must-try treatment in this list of tips on how to treat a stye on eyelid. If the stye in your eyelids cause you pain, use non-steroidal anti-inflammatory drugs to relieve the pain in the first few days. Choose a drug that contains aspirin or ibuprofen to relieve the pain immediately. You must take the medicine as prescribed on the package. Do not take aspirin for children under the age of 16. Using contact lenses require you to constantly touch your eyes, so make sure your hands are clean when you wear or remove contact lenses. Contact lenses can also spread the bacteria to the eye, so remember to use contact lens cleaning solutions to wash them daily. You should not use contact lenses if you have a stye on the eyelid. Using contact lenses in this situation increases the risk of bacterial contamination, causing the cornea below the eye to be affected. Contact lenses should not be used longer than allowed. If you use daily contact lenses (e.g. disposable ones), remove them after a day of use. If you use the monthly types (which can be used more than once in a month), remember to replace them every month. You should not use contact lenses overnight. Even with safe contact lenses, when used overnight, they can also cause eye problems. Always follow your doctor’s instructions for proper use of contact lenses. Avoid using contact lenses in certain circumstances, such as during swimming (unless you use swimming goggles). This is the last remedy in this list of tips on how to treat a stye on eyelid. Using eyeliner and eyeliner on the eyelid can make you very prone to stye on the eyelid, especially if you always make thick makeup and frequently apply makeup powder several times a day. So, limit your makeup, especially if you have styes on eyelids. Besides, do not go to sleep when the makeup layer is still on your face. Use a make-up remover to clean the makeup layer, then use a facial cleanser to rinse the face again. You should regularly change make-up cosmetics for eye and makeup tools. Similar to contact lenses, makeup pencils and brushes are often in contact with the eyes. If they contain harmful bacteria they are very easy to become the cause of stye. In addition, you should not share eye makeup tools with other people to ensure hygiene. Remember to wash your hands with mild soap and water prior to applying any natural remedies or ointment to your styes. Use dirty hands to touch the stye will transfer bacteria, dirt, oil and other particles to the area and worsen your infections. Avoid touching the stye to prevent spreading the infection. Avoid squeezing the stye as it may spread the pus released from the stye to your eyelid and increase the risk of infection. For big styes, have a medical professional to drain them out otherwise it impacts your vision. Cleanse your stye with warm wash cloth regularly to dissolve the pus and accelerate the draining of styes. Avoid concealing it with makeup as it may aggravate the irritation and slow down the recovery. Even, it can spread the infection to other areas. Also, throw away your old makeup like mascara, eyes shadows, eyeliner and avoid sharing the brushes or makeup with other people. Do not use contact lenses if you want the stye to heal faster. Use spectacles as an alternative. Contact lenses could be infected with bacteria, thereby leading to potential stye breakout. In case you have to use contact lenses, make sure that you clean them before and after every use to avoid infections. So you have to find tips to help you treat a stye on eyelid quickly. You can do them right in your home because they are very simple and safe. Not only that, the results they bring you will surely surprise you. 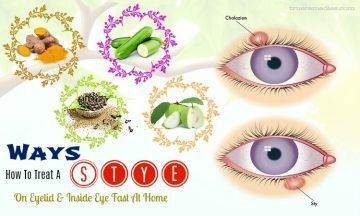 If you have any contributing ideas about our article of “Top 26 Tips On How To Treat A Stye On Eyelid & Inside Eye Fast At Home” introduced in How To Category, do not hesitate to drop your words below this post. We will answer as soon as we could.